New Delhi , 21 February 2006: Today, over 1000 children led the Blackboard March from the Jantar Mantar to the Parliament to make the country's elected leaders look and listen to their demand for a fast action to make the Right to Education Bill 2005into a Law. The children symbolically carrying their demands on blackboards and slates gave Prime Minister Manmohan Singh and other leaders a simple message - help ensure free compulsory primary education of good quality for all children as a fundamental right. In India 35 million children are still unable to attend school, nearly two thirds of them girls. Make Law for Free and Compulsory Primary Education. Invest at least 6% of the GDP on Education. Speedy Formation of National Commission on Elementary Education. A complete ban on child labour should be enforced as it is the biggest hurdle in attaining education goals. Some esteemed Members of Parliament, who have time and again raised their voice in the house and outside in support of children's education joined them to put pressure on the Government to table the Bill in the on-going Parliamentary session and pass it. The parliamentarians included Shri. Ravi Prakash Verma, Convener, Parliamentary Forum on Education and Smt. Jaya Prada, eminent actress and social activist. They are also part of the Parliamentary Forum on Education. Shri Kailash Satyarthi, President, Global Campaign for Education and Chairperson, Global March said, “The government has no excuse, as over Rs. 5000 crore has already been collected from the public through the education cess. Now is the time to spend and not to hold the money as childhood cannot wait for politics and bureaucracy”. Satyarthi further said, "Governments of developing countries must prioritize spending on education and have concrete plans involving teacher training, building schools, providing text books and uniforms." 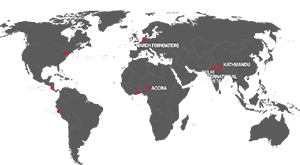 Education has always been the priority for Global March and its partner organisations. Smt. Jaya Prada while talking to the children assured them, “I stand by you in your demand for your rights. Do not think you are alone. We will take your voice inside the parliament. The Government cannot shirk from its responsibility of guaranteeing free and compulsory education.” She added, “The government must bring the Education Bill in the present session. Shri Ravi Prakash Verma, M.P & Convener Parliamentary Forum on Education stated, "Thousands of years of heritage make India the motherland of civilization. In a sharp, ironic contrast, this land of a billion citizens, today, also represents the biggest challenge to its holistic development. Being denied education millions of children are standing on the threshold of being caught in the vicious cycle of child exploitation, illiteracy and poverty." To take earnest actions for making education a true reality for all children, the National Coalition on Education (NCE) emerged in 2001 as a conglomerate of the three biggest teachers' union, the Parliamentary Forum on Education and civil society organisations. NCE's participatory efforts bore fruit with the passage of 86th Constitutional Amendment Bill after the highly successful Shiksha Yatra in 2001, which traversed the entire country to generate awareness and support on the legislation. The joint action of NCE has also resulted in the inclusion of many suggestive changes in the Right to Education Bill. The Blackboard March was joined by the Parliamentary Forum on Education and a number of other organizations including Global March Against Child Labour, National Coalition on Education NCE, the All India Primary Teachers Federation (AIPTF), All India Federation of Teachers' Organisations (AIFTO), and All India Association for Christian Higher Education (AIACHE). A large number of social activists, parents and the common people present at the Jantar Mantar also joined the March to lend their support.